The 1987 Montreal protocol (4) initially limited the use of CFC propellants and then banned them by 2009 in the United States (51). In addition, degradation kinetics of therapeutic biomolecules is slower in the solid state than in the liquid state. 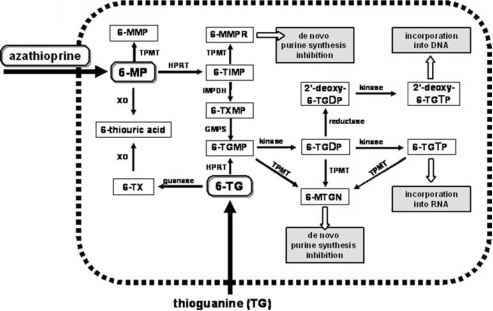 Combined with bypassing the "first-pass effect" of hepatic metabolism and drug degradation in the gastrointestinal tract, the lungs have been an attractive route of administration of sensitive biomacromolecules in the solid state. The forces of interaction between particles present barriers to their flow and dispersion. The major forces of interaction are van der Waals, electrostatic, and capillary forces (52). where a is the polarizability, h is Planck's constant, and v0, the characteristic frequency. Because v is found in the UV region of the absorption spectra and plays a key role in optical dispersion, the intermolecular London-van der Waals forces are also called dispersion forces. These forces operate at short ranges but when integrated over all molecules give rise to large interparticulate forces. Equation (10) may be applied when z <C D = did2/(di + d2). This is not a practical limitation, but an applicable equation can be obtained by differentiating equation (10) with respect to z. The attractive force (F) is dependent on the Hamaker constant and the shortest distance between the particles, z. F may be decreased by decreasing A or increasing z. Theoretically, the Hamaker constant can be decreased by decreasing the densities of the two interacting particles. Since the separation distance plays a significant role in van der Waals attraction, any means to increase this distance will reduce the attractive force and increase the ease of dispersion. Surface roughening and the use of spacers can increase interparticulate separation with the improved particle dispersion. 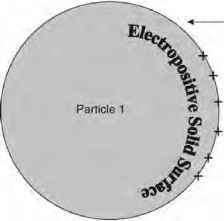 Figure 5 Illustration of interfacial electrostatic attraction between two particles. where q is the charge on the particle and h is the separation distance between the adhering particles in a dielectric medium, e.
The Coulomb equation describes triboelectric charging (Fc) between a spherical particle and an adjacent uncharged particle. 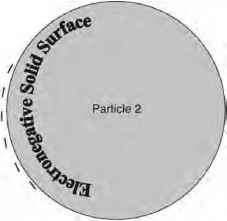 where R is the particle radius, q the charge, h the separation distance, and £q the permittivity of vacuum. This Coulomb attraction between two solid-state particles, illustrated in Figure 5, reduces to zero in a humid environment because of decharging of the system, but attractive forces then become complicated by capillary forces of interaction.